The Four Bitchin’ Babes are accomplished musician/comediennes who come together to create a tour de force musical comedy theatre troupe. 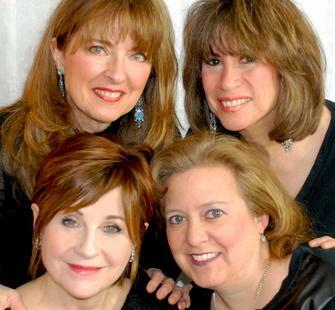 Playing guitars, bass, piano, and more, this hilarious group of gal pals has been performing together for over 25 years, charming audiences with whimsical songs and original stories reflecting on the joys and dilemmas of everyday life. Their elegant wit, sophisticated stand-up humor, and charming harmonies make for an uproarious and delightful evening! We're sorry! Tickets are not currently available. Montalvo donors: If you have not done so yet, please LOG IN during your presale time to access concert tickets. Questions? Contact our box office at 408-961-5858 10am-4pm Monday-Friday for more information.